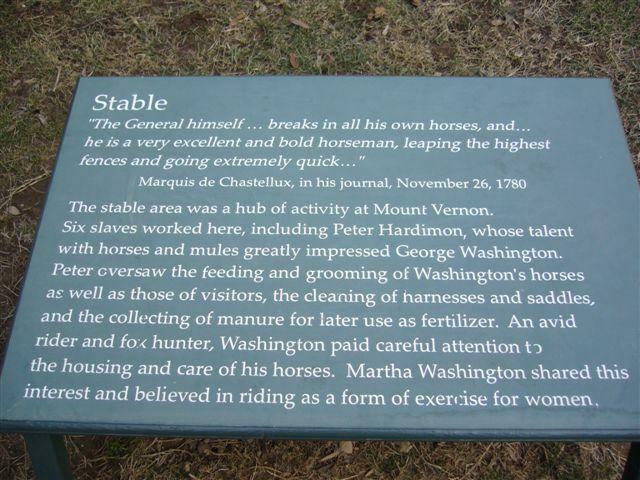 Did you know that George Washington was considered one of the most renown equestrians of his time? It is true! 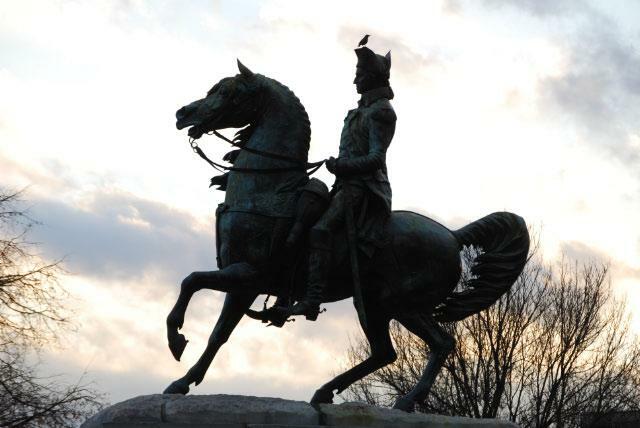 His wife, Martha, was also an avid horse woman. 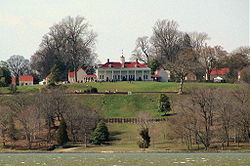 Mount Vernon was designated a National Historic Landmark in 1960 and is listed on the National Register of Historic Places. It is owned and maintained in trust by the Mount Vernon Ladies' Association. Upon Lawrence Washington's death, he left the property to his daughter, Mildred. In 1726, at the urging of her brother Augustine Washington (George Washington's father), Mildred sold him the Potomac River estate. In 1735, Augustine Washington moved his young, second family to the estate, settling into a 'Quarter' alongside Little Hunting Creek. In 1738, Augustine recalled his eldest son Lawrence (George's half-brother) home from The Appleby School in England and set him up on the family's Little Hunting Creek tobacco plantation, thereby allowing Augustine to move his family back to Fredericksburg at the end of 1739. 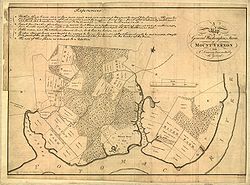 In 1739, Lawrence, having reached his 'majority' (age 21), began buying up parcels of land from the adjoining Spencer tract, beginning with the land around the Grist Mill on Dogue Creek. In the summer of 1740, Lawrence received a coveted officer's commission in the Regular British Army, and made preparations to go off to war in the Caribbean with the newly formed American Regiment. Part of his preparations included ensuring his father had legal control over the tracts Lawrence had purchased from Spencer. While he was away at war (the War of Jenkins' Ear, 1739--743), Lawrence wrote to his father from Jamaica in May 1741, that, should he survive the war, he intended to make his home in the town of Fredericksburg, building a town home on one of the three lots he owned there. At this same time, the Spencer family was in a legal dispute over additional land sales to Lawrence's neighbors. To adjudicate the boundary line dispute, a general court for Prince William County ordered a new survey of the entire 5,000 acre Washington-Spencer land grant. The surviving map of that 1741 survey, a plat, by County Surveyor Robert Brooke, revealed the estate had been grossly mis-measured back in April 1669, and it contained only about 4,200 acres, not the 5,000 acres conveyed in the 1674 land grant. The gross mis-measurement can be attributed to the fact that the property was bounded on three sides by water, and that neither the River nor the two creeks ran straight. Pursuant to the Culpeper land grant, the original 1669 surveyor was charged with estimating an area of 5,000 acres and then blazing a straight-line "back" boundary along a tree line between the winding courses of Dogue Run and Little Hunting Creek. More importantly, this surviving May 1741 property survey by Brooke reveals that the location of the present-day mansion house was then vacant, with the Washingtons depicted as having their Quarter alongside Little Hunting Creek (as was shown on a similar, larger-scale Potomac River survey of 1738). Upon receiving word of Lawrence's intent to live in Fredericksburg, Augustine Washington appears to have undertaken to erect a modest farm house on the vacant bluff overlooking the Potomac River (where the mansion house now sits) in 1741-42. It is estimated Lawrence received news of his father's plans in late 1741, while at Jamaica, and presumably wrote back instructing his father to call the new home "Mount Vernon" in honor of Captain Lawrence Washington's commanding officer, Vice Admiral Edward Vernon (then regarded as the greatest military hero of the age in Britain.) 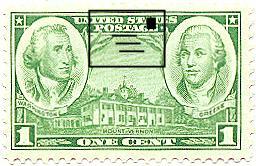 In early August 1742, the place name "Mount Vernon" first appears in a surviving letter, penned by Lawrence's Potomac River neighbor, William Fairfax, of Belvoir. Lawrence Washington returned from the war in late 1742, buried his father in April 1743, married into the Fairfax family and took up residence at his "Mount Vernon" in July 1743. By the late 1740s Lawrence undertook an expansion of the home Augustine had built for him. Upon Lawrence's untimely death in July 1752, his will provided that his widow should own a life estate in Mount Vernon, with the remainder interest falling to Lawrence's beloved half-brother, George. George Washington was already living at Mount Vernon and probably managing the plantation. Lawrence's widow, Anne Fairfax, promptly remarried into the Lee family and moved out. Upon the death of Anne and Lawrence's only surviving child in 1754, George, as executor of his brother's estate, arranged to lease "Mount Vernon" that December. Later, he bought his sister-in-law's life estate and became owner of the property. In 1757, George began the first of two major additions and improvements to the home. The second expansion was begun shortly before the outbreak of the Revolutionary War. On those occasions he entirely rebuilt the main house atop the original foundations, doubling its size each time. The great majority of the work was performed by slaves and artisans. While he twice rebuilt the home, George never changed its patriotic British name. Though no architect is known to have designed Mount Vernon, some attribute the design to John Ariss (1725-1799), a prominent Virginia architect who designed Paynes Church in Fairfax County (now destroyed) and likely Mount Airy, Richmond County, Virginia. A friend of George Washington, to whom he leased his home, Ariss was, in an interesting coincidence, the great-grandson of Col. Nicholas Spencer, the original patentee of Mount Vernon with the Washingtons. 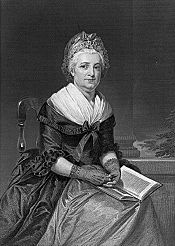 Upon Anne Fairfax Washington Lee's death in 1761, George was the only claimant to the Mount Vernon estate. From 1759 until the American Revolutionary War, Washington, who at the time aspired to become a prominent agriculturist, operated the estate as five separate farms. Washington took a scientific approach to farming and kept extensive and meticulous records of both labor and results. In a letter dated September 20, 1765, Washington writes about receiving poor returns for his tobacco production: "Can it be otherwise than a little mortifying then to find, that we, who raise none but Sweetscented Tobacco, and endeavour I may venture to add, to be careful in the management of it, however we fail in the execution, and who by a close and fixed correspondence with you, contribute so largely to the dispatch of your Ships in this Country should meet with such unprofitable returns." In the same letter he asks about the prices of flax and hemp, with a view to their production: "In order thereto you would do me a singular favour in advising of the general price one might expect for good Hemp in your Port watered and prepared according to Act of Parliament, with an estimate of the freight, and all other Incident charges pr. Tonn that I may form some Idea of the profits resulting from the growth. I should be very glad to know at the same time how rough and undressed Flax has generally, and may probably sell; for this year I have made an Essay in both, and altho I suffer pretty considerably by the attempt, owing principally to the severity of the Drought, and my inexperience in the management I am not altogether discouraged from a further prosecution of the Scheme provided I find the Sales with you are not clogged with too much difficulty and expence." Following his service in the war, Washington returned to Mount Vernon and in 1785-1786 spent a great deal of effort improving the landscaping of the estate. 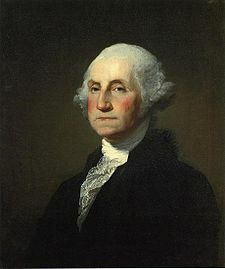 It is estimated that during his two terms as President of the United States (1789-1797) Washington spent 434 days in residence at Mount Vernon. After his presidency, Washington tended to repairs to the buildings, socializing, and further gardening. Washington selectively bred sheep and grew various types of crops on the plantation, including flax, hemp, cotton and silk: in 1794 he wrote to the gardener at Mount Vernon advising "[m]ake the most you can of the Indian Hemp seed and sow it everywhere".] One of his most successful ventures was the establishment of a distillery in 1797; he briefly became one of the new nation's largest distillers of whiskey. 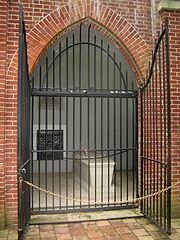 The remains of George and Martha Washington, as well as other family members, are entombed on the grounds. In accordance with his will, Washington was entombed in a family crypt he had built upon first inheriting the estate. It was in disrepair by 1799, so Washington's will also requested that a new, larger tomb be built. This was not done immediately, but following an attempt to rob the grave, in 1831 a new vault was finally built in Washington's desired location. 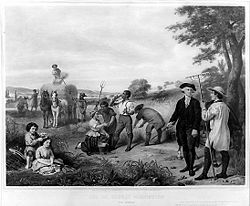 After Washington's death in 1799, plantation ownership passed through a series of relatives who lacked either the will or the means to maintain the property. After trying unsuccessfully for five years to restore the estate, John Augustine Washington offered it for sale in 1848. The Commonwealth of Virginia and United States governments declined to buy the home and estate. 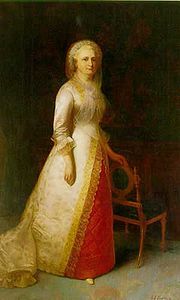 In 1858, the Mount Vernon Ladies' Association of the Union, under the leadership of Ann Pamela Cunningham, acquired the mansion and a portion of the land from Washington's great-grandnephew, John A. Washington, Jr., rescuing it from a state of disrepair and neglect. They paid the final installment of the purchase price of $200,000 on December 9, 1859, taking possession on February 22, 1860. The estate served as neutral ground for both sides during the American Civil War, although fighting raged across the nearby countryside. The mansion has been restored by the Association (without accepting any state or Federal funds), complete with period furniture and decor, and today serves as a popular tourist attraction. The estate is also well known for its exceptional landscaping and ancillary buildings. Shops at the entrance to the estate: The gatehouse and ticketing area may be seen beyond Mount Vernon is open every day of the year, including holidays and Christmas. Visitors may tour the Mansion House and more than a dozen outbuildings including the slave quarters, kitchen, stables, and greenhouse. There are four gardens, a Forest Trail, and a George Washington: Pioneer Farmer site, a 4-acre working farm that includes a re-creation of Washington's 16-sided treading barn. George and Martha Washington are interred in a tomb where wreath laying ceremonies are held daily. The Slave Memorial and Burial Ground is nearby. Since it was first opened to the public in 1860, nearly 80 million visitors have toured Washington's home. Mount Vernon is independent of the government and no tax dollars are expended to support the 500-acre estate, its educational programs or activities. English boxwoods, taken from cuttings sent by Maj. Gen. Henry Lee III "Light Horse Harry" (Governor of Virginia and father of Robert E. Lee), were planted in 1786 by George Washington and now crowd the entry path. A museum dedicated to the life and death of George Washington is on the grounds. The museum has George Washington's survey equipment, weapons, and clothing, as well as dentures worn by the first President. "I have no objection to any sober or orderly person's gratifying their curiosity in viewing the buildings, Gardens, &ca. about Mount Vernon." On March 30, 2007, Washington's Mount Vernon estate officially opened a reconstruction of Washington's distillery. This fully functional replica received special legislation from the Virginia General Assembly to produce up to 5,000 gallons of whiskey annually, for sale only at the Mount Vernon gift shop. The construction of this operational distillery cost $2.1 M and is located on the exact site of Washington's original distillery, a short distance from his mansion on the Potomac River. Frank Coleman, spokesman for the Distilled Spirits Council that funded the reconstruction, said the distillery "will become the equivalent of a national distillery museum" and serve as a gateway to the American Whiskey Trail. In October 2006, following a $110 million fund raising campaign, two new buildings designed by GWWO, Inc./Architects were opened as venues for additional background on George Washington and the American Revolution. On November 7, 2007, President George W. Bush hosted French President Nicolas Sarkozy for a general press conference on the front lawn of Mt. Vernon following Sarkozy's address to a joint session of Congress earlier the same day, briefing the press on the two leaders' earlier meetings.